Aluminum housing with an integrated battery. Technology from leading companies LG and Samsung. Large capacity - 10000 mAh. First-class lithium-ion battery pack from LG and Samsung adds 10,000 mAh duration of the built-in default battery on your smartphone, tablet or digital camera. 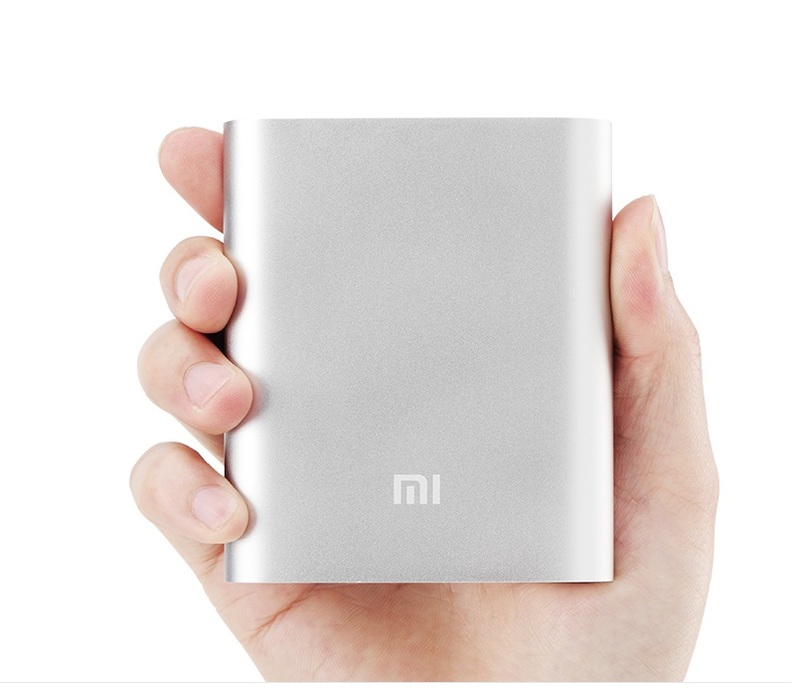 Powerful Power Bank is able to add up to 2.5 times the operating hours talking about the smartphone Mi 3. * The results of testing. Indicators of actual use may vary. Adapted speed USB-chip and chip charge / discharge from the company Texas Instruments. Battery Mi Power Bank not only provides nine protective layers, but also increases the efficiency of the device. The mechanism of control humidity levels and temperature ensures the safe operation of lithium-ion batteries. OVP circuit prevents damage to the device from power surges. By monitoring the output voltage, the device automatically turns off when the voltage exceeds the limit to protect the device. Automatic protection of the motherboard and the battery in the event of a short circuit. The definition of improper installation of the charger and automatic termination of charging. To protect the lithium-ion batteries from overcharging and complete discharge Mi Power Bank were used Japanese technology. 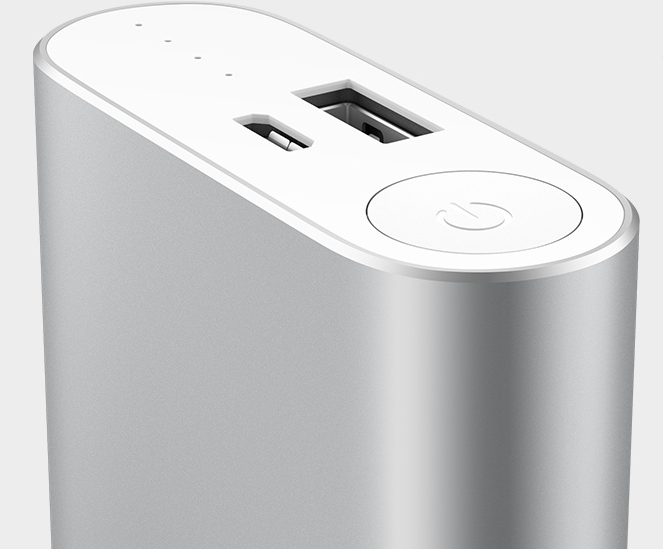 The power button can be used to restart Mi Power Bank in case of problems with the operation. By monitoring the output current, the device automatically shuts down to protect the device when the current exceeds the limit. Built-in battery protection circuit RTS for battery cells to effectively control the level of temperature and current, preventing the effects of fluctuations. World-class chips are characterized not only high reliability, and improve the conversion rate of charge and discharge voltage is stabilized with the help of advanced resistive-capacitive sensors, greatly optimizes efficiency and durability. Cover battery manufactured by high precision digital cutting machines. The surface is resistant to corrosion and vodoustoycheva, so is ideal for everyday use. The buttons and indicators of the world's ports to connect all located on one side of the battery. The charging port is automatically adapted to the type of cable. 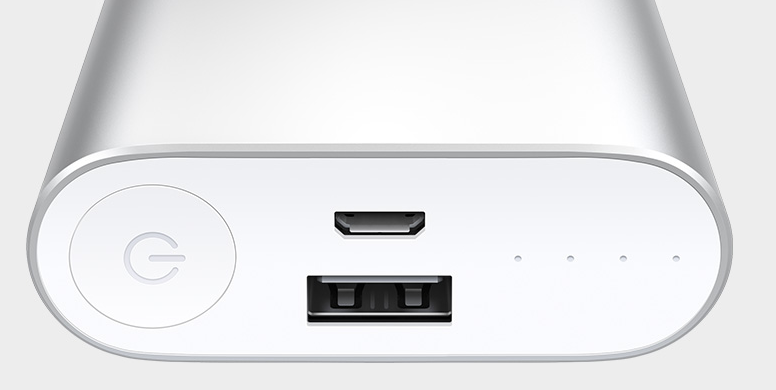 Mi Power Bank automatically adjusts the charging port to the type of cable. The battery is compatible with the devices of the company Mi, Apple, Samsung, HTC, Google and BlackBerry, as well as with a large number of digital cameras and gaming devices. 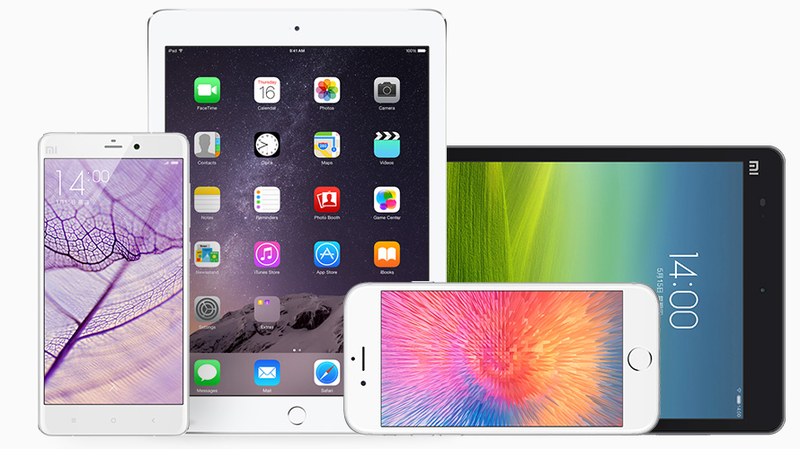 Economical and convenient when you hold in your hands. A careful process of anodizing makes the surface more durable and resistant to fading, wear and corrosion. 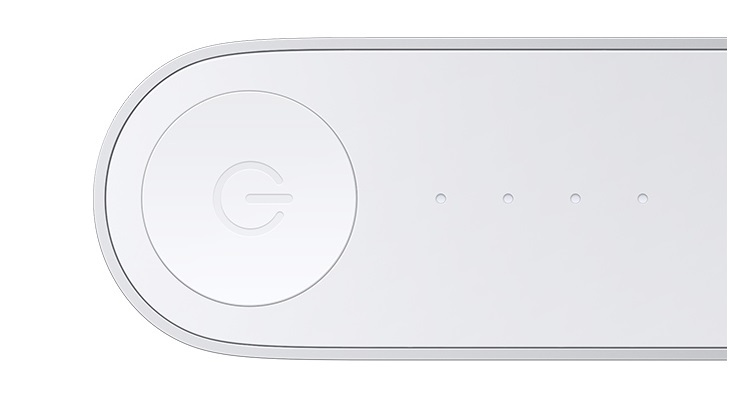 The button can be easily found with a little indented. The integrity of the cut aluminum surface provides rigidity. The battery can withstand up to 5,000 times the insertion and extraction of micro USB cable. Xiaomi Company does not allow concessions in their tests, so devices that successfully pass the tests in all respects, deserve special attention and trust of users.